Help CentreUsing SuperControl Configuring my propertyHow do I set-up property types? 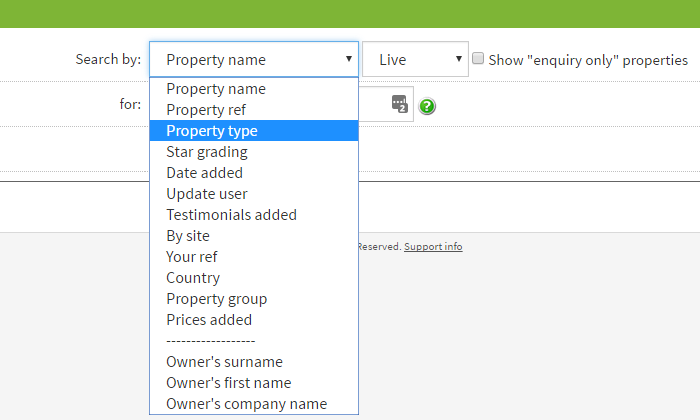 Under the Property types menu option (Properties > Property types) you can specify what type of property you have: bungalow, apartment, lodge, etc. You might set this up if you have lots of properties listed on your website and want users to be able to search by cottage, villa, apartment, for example. 1. 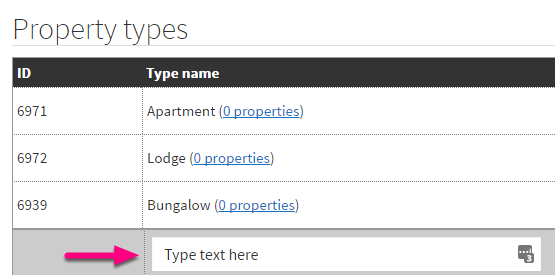 To add a property type go to Properties > Property types and enter text into the field provided then click "Add". 2. You must make sure that the property type has been saved against a property. To do this go to Properties > Edit > Settings. 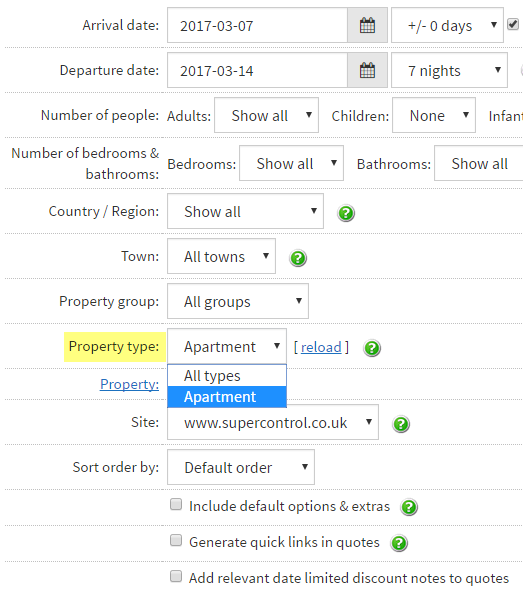 If you wish to search by property type via the admin side, you can use the Availability search, Grid view, or Properties > Edit (suitable for a large number of properties) . 1. Go to Bookings > Availability search. Filter your search by Property type. In this case, we want to search for an "Apartment". To search by Grid view, go to the advanced search on Bookings > Grid view. 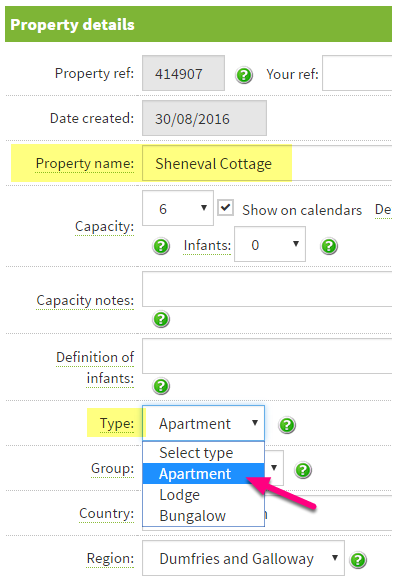 Searching Property types by Properties > Edit is only applicable if you have a large number of properties. 2. You can also set up your website to do a custom search so that Property types can be searched. Prev: How do I show more months on my availability calendar? Next: How do I add property regions?